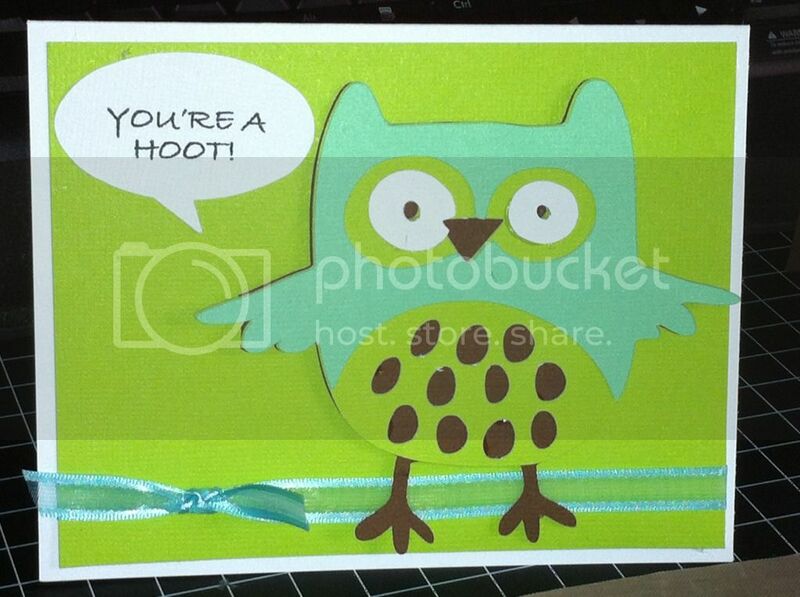 TheFishie's Kitchen and Home: You're a Hoot! 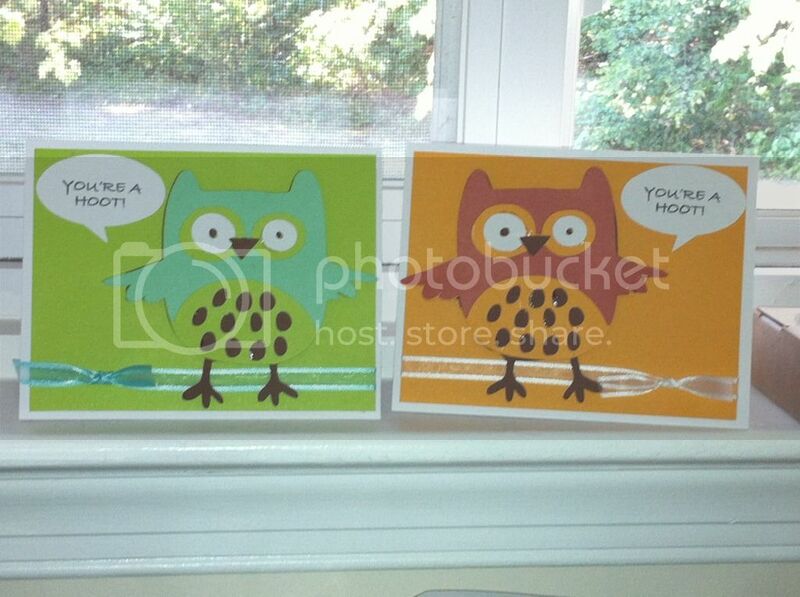 I've been hard at work decorating the baby's room, making dozens of birth announcements, and thank you cards. In between, I've made a couple of anytime cards like these. Carolanne at Logan's Crafty Logan's Crafty Momma jumped the Cricut ship and purchased a Silhouette Cameo. As a result, she sold all of her cartridges. I couldn't resist so I bought Hoot and Holler and Life's a Beach. 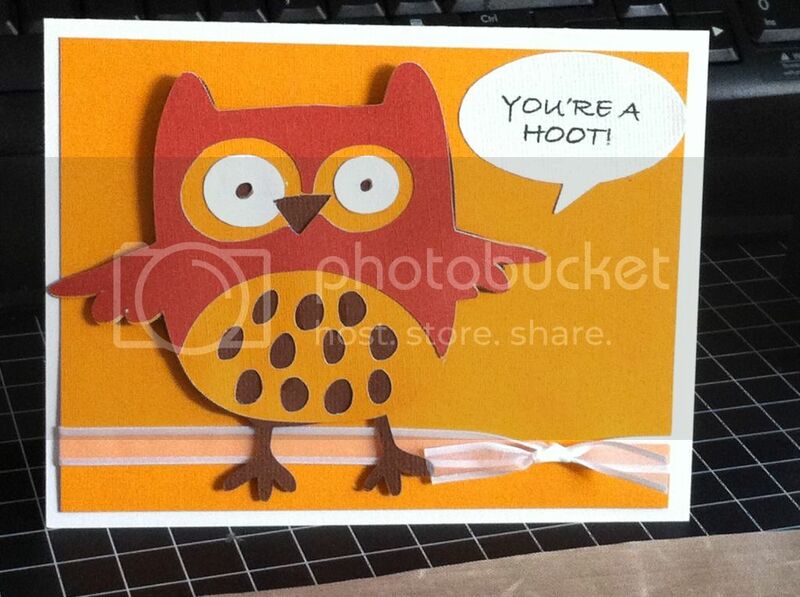 Today's card features Hoot and Holler and My Pink Stamper's Punnylicious stamp set. Ribbon and cardstock are from Joann's.